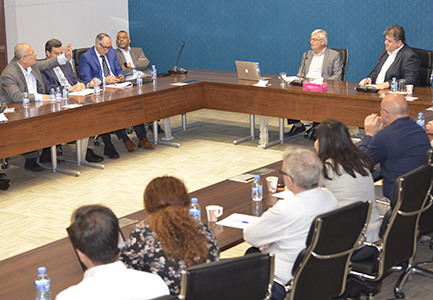 Raja Bahlool, Professor of Philosophy at the Doha Institute for Graduate Studies, was the guest speaker for the weekly seminar at the Arab Center for Research and Policy Studies on Wednesday, 14 March 2018. Bahlool’s intervention was focused on the concept of interdisciplinarity. 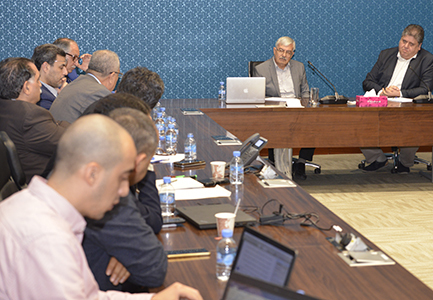 Bahlool began his presentation by stating that while “interdisciplinarity” was a widespread concept in the Western academy, it remained relatively limited in terms of exposure in Arab institutions. Bahlool also traced the origins of the concept to the 1920s, at the latest. While an exact, uncontested definition for interdisciplinarity may always be difficult, Bahlool nonetheless attempted to explore some working definitions of interdisciplinarity which could be satisfactory to a wide range of people. Examples he offered included the use of statistical tools in psychology or even the use of mathematical methods in the physical sciences. 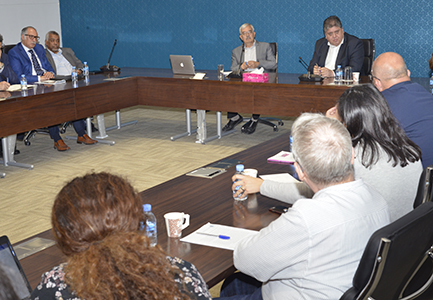 Yet interdisciplinarity could also refer, offered Bahlool, to the cooperation by specialists in distinct academic disciplines to studying a single multi-faceted issue. One topical example of such an approach, offered Bahlool, was the involvement of physical scientists, engineers, geologists and even ethicists in studying the ramifications of global warming. 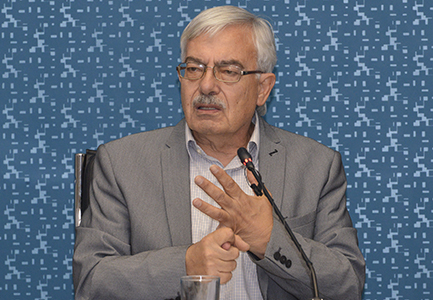 Bahlool also suggested that there was a further, more radical definition of “interdisciplinarity” which entailed a complete, holistic integration of a variety of theoretical approaches from across a range of disciplines, making it impossible to attribute the accruement of knowledge to any one specific disciplinary method. Borrowing from another writer, Bahlool compared this to the “fakhfakhina” fruit cocktail commonly found in Arab cities: it had a rich, complex fruity taste which couldn’t be traced to any single ingredient. Bahlool also dismissed protests that interdisciplinarity would lead to the loss of identity for individual academic specialisms; instead, the fields to which are amenable to an interdisciplinary approach—climate science, for example, or Gulf studies or women’s studies—do not stand as specialisms devoted to a more well defined area of knowledge, such as physics (the study of physical objects and energy), the study of living organisms (biology) or the study of social phenomenon (as in the social sciences).